To get straight to the point, Boracay Island itself does not have an airport. That's a good thing because if it were so, it would occupy almost the whole island for itself. 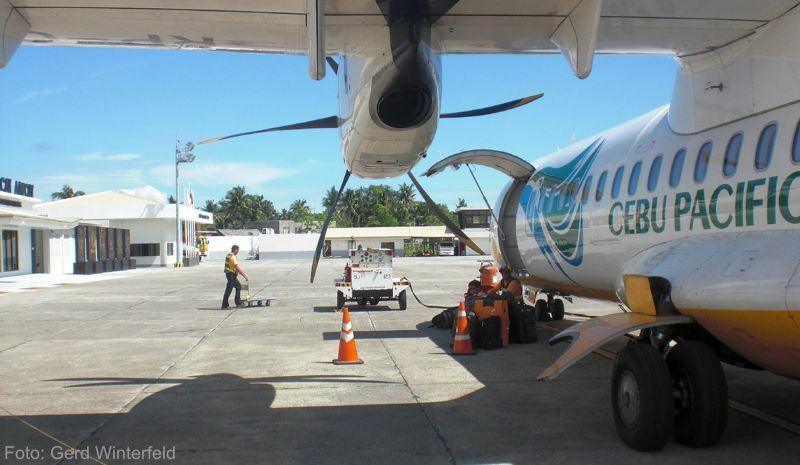 Instead, the Boracay Airport is located on the neighboring island of Panay, in the small town of Caticlan. Until recently it was called Caticlan Airport or exactly: Godofredo P. Ramos Airport. Since the last renovation in 2011, it is now officially named "Boracay Airport". Since November 2016 the small Airport now features an extended, 1800 Meter long runnway. 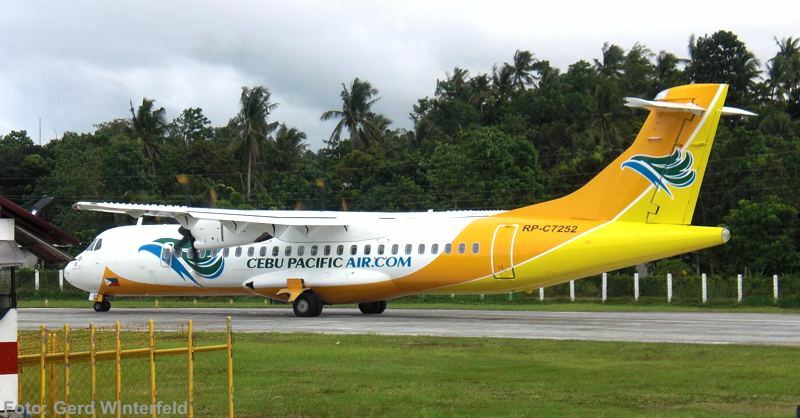 This makes it possible for bigger planes such as the Airbus A320 or Boeing 737 family to land at the Boracay Airport. Before the extension the runway was only 950 Meter and only smaller turboprops, like the ATR 43/72 or Dash 8 could land there. With the jet planes the flight time from Manila to Boracay is only about 35 minutes. During the reconstruction work a new terminal at the other end of the runway is beeing built so that the transfer time to the Jetty Port will now be a little longer. In case of bad weather, the planes sometimes can not land at Boracay Airport and will be diverted to the bigger Kalibo International Airport. This will always cause some delays on later flights, because both, arriving and departing passengers need to be transferred by bus or van to and from Caticlan, which is a 1.5 hours trip already. After landing at Boracay Airport, there are Tricycles and vans waiting outside, to bring the passengers to the nearby Caticlan Jetty Port. This costs 50 Peso per Tricycle you need. If you do not have too much luggage, you may also walk the about 500 meters to the Jetty Port. Please also read the report about the Transfer-Cost to Boracay.